William Davidson and Melvin Simon had a lot in common. Both were billionaires and both were Jewish. Simon built his fortune through the country’s biggest shopping mall company, Simon Property Group, and Forbes estimated his net worth at $1.3 billion. Davidson led Guardian Industries Corp., one of the world’s largest glass suppliers, and had a fortune recently tabbed at $4.5 billion. They also each owned NBA franchises in the midwest. Davidson owned the Detroit Pistons (yeah! ), while Simon co-owned the rival Indiana Pacers (boo!) with his brother, Herbert Simon. Both men died last year, with Davidson passing away at age 86 in March and Simon passing in October, at age 82. And both were survived by spouses as well as children from prior marriages. And, in both instances, the spouse and the children from the prior marriage did not see eye to eye. Because of that, both the Davidson Estate and Simon Estate are mired in lawsuits about the true wishes of the beloved billionaires. Danielle Mayoras was recently quoted in this interesting article by the Detroit Free Press about the growing epidemic of exploitation of the elderly. It discussed a very sad case where a daughter took hundreds of thousands of dollars from her elderly mother and now is in jail saying the money is gone and she can’t return it. This is one example of how more and more families are facing the devastation caused by exploitation of elderly loved ones, often by a family member or caregiver. 1. Get expert advice. Consider consulting an estate lawyer who will know the ins and outs of estate planning. It’s usually money well spent. It’s been seven months since the King of Pop died suddenly at the age of 50, and fights surrounding his estate seem like they may last for many years to come. Creditors are coming out of the woodwork, with new ones surfacing on a weekly basis. The latest, a management company, joins a series of business, medical and spiritual advisers and others who insist they are owed money, totaling more than $20 million, already. That total will certainly climb. The estate co-executors, John Branca and John McClain, have to sort through the requests for money and try to determine the legitimate ones from the ones that are, well, more fiction than fact. It’s common when someone wealthy and eccentric passes to have all sorts of people saying they are entitled to money. (Jerry Garcia, James Brown, and Marlon Brando are a few notable examples that we cover in Trial & Heirs: Famous Fortune Fights!). CNN’s Fortune Magazine recently had a fascinating article about Ron Perelman’s efforts to drag his paralyzed, infirm, and elderly ex-father-in-law through one of the most vicious estate battles we’ve seen in a while. 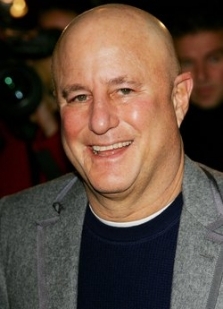 Perelman built most of his billion-dollar fortune through a hostile takeover of Revlon. In the process, he married and divorced four women, one of whom was Claudia Cohen (actress Ellen Barkin was another). Cohen came from a wealthy family herself. Her father and brother own and control Hudson Media, a powerful magazine company that is a long-time partner of Time, Inc. Sadly, Claudia died after a difficult fight with cancer in 2007. Her will appointed Perelman as her executor. She named Samantha Perelman, her teenage daughter from their marriage, as her primary beneficiary. Claudia’s will made her wishes very clear, including her strong desire to protect the relationship between Samantha and Claudia’s father, Robert, and brother, James. Who got the money? Who had the biggest family feuds? The mistakes that were made — and what we can learn from them. Two legal experts in estate planning and the authors of Trial & Heirs have the scoop. If the recent and sudden death of Michael Jackson taught us something – other than the side effects of too much prescription medication – it’s the importance of a will or trust. Wills and trusts are taboo topics. We’re usually far more inclined to talk about Botox injections or mammograms than how we plan to divide our assets. But (and sorry for speaking so morbidly) once you’re dead, it’ll be far too late to finally address it. That’s why regardless of your age and health (Jackson was 50 and about to go on tour), it’s important to have a proper will — not just for your peace of mind, but for your family’s peace of mind too. The Huffington Post recently ran this article featuring an excerpt from Trial & Heirs: Famous Fortune Fights! 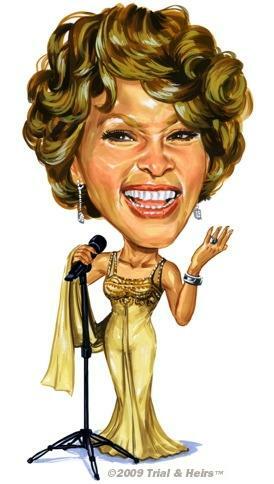 the TRUE STORY of WHITNEY HOUSTON! Whitney Houston is no stranger to family fights in court. In 2002, the entertainment company owned by her father, John Houston, sued her. John Houston said publicly that his company was owed $100 million and he expected his daughter to repay it. He died in February of 2003, and the case was dismissed not long thereafter. Reportedly, Whitney Houston did not attend her father’s funeral service or burial. John’s wife, Barbara, filed her own lawsuit against Whitney in December of 2008. Whitney was the sole beneficiary of a $1 million life insurance policy of her late father. Did Brittany Murphy forget to update her will? Everyone was shocked when actress Brittany Murphy died suddenly at age 32 on December 20th, 2009. She left behind a husband, Simon Monjack, of two and a half years and a mother with whom she was very close. Reportedly, her mother lived with Murphy and her husband the last few years. Only one day after her tragic passing, celebrity gossip website TMZ posted an article saying that Murphy had a will, but one that was created before her marriage. The report stated the will left everything to her mother and nothing to her husband. It also stated Brittany’s house was held in a trust which also left it to her mother, not her husband. Another website said the house — which Murphy had purchased from Britney Spears in 2003 for almost four million dollars — was held in a trust called the “Nina Bow Trust”. One of Hollywood’s most famous entertainment spots has sparked what may be a very bitter and ugly family fight in court. Comedian Pauly Shore filed a lawsuit claiming that his brother, Peter Shore, has been using unscrupulous behavior and committing undue influence over their 79-year old mother, Mitzi Shore. Mitzi suffers from Parkinson’s disease and other neurological problems. Reportedly, she’s been in the care of Peter (Pauly’s older brother), but Pauly has grown increasingly concerned for her well-being, according to his lawsuit filed earlier this month in the Los Angeles Superior Court. Pauly, Peter and their mother were, until recently, the three directors of The Comedy Store, one of Hollywood’s most famous comedy clubs. It’s featured distinguished comedians such as Johnny Carson, Richard Pryor, Redd Foxx, George Carlin, and Robin Williams (and — even better — it’s reportedly haunted by a ghost that plays pranks). Mitzi won the club in a divorce in 1973 and has owned it ever since. Anthony Marshall and the attorney he conspired with, Francis Morrissey, each received jail sentences earlier this week for 1 to 3 years. They had been convicted of looting Brooke Astor, Marshall’s mother, out of $60 million by convincing her to change her will when she was mentally unable to comprehend it due to Alzheimer’s disease, along with related crimes. Marshall’s attorneys had pled for leniency, citing his advanced age, poor health and doctors’ reports saying any jail time would equate to a death sentence for him. The Probate Lawyer Blog covered the defense lawyer’s efforts in this recent article. The judge wouldn’t hear of it. He noted how sad it was that a life of extreme abundance led to such sadness, particularly when Marshall’s own son took the stand and “tried very, very hard to destroy” Marshall. Anyone who’s ever been through a court battle over a trust or estate knows how important it is for everyone involved. But some cases carry more importance than others. The recently-resolved case of Cobell vs. Salazar has as much importance to our nation as any trust fight has ever had. Elouise Cobell is the lead plaintiff in a class action suit against The United States Secretary of the Interior. The lawsuit involves the rights of Native Americans under Individual Indian trusts that began under laws passed in 1887. At that time, tribal lands of Native Americans were parceled out by the government and assigned to individuals, in lots between 40 and 160 acres in size.